East Sussex, 1914. It is the end of England's brief Edwardian summer, and everyone agrees that the weather has never been so beautiful. Hugh Grange, down from his medical studies, is visiting his aunt Agatha, who lives with her husband in the small, idyllic coastal town of Rye. Agatha's husband works in the Foreign Office, and she is certain he will ensure that the recent saber rattling over the Balkans won't come to anything. Sixty-nine-year-old Arthur Pepper lives a simple life. He gets out of bed at precisely 7:30 a.m., just as he did when his wife, Miriam, was alive. He dresses in the same gray slacks and mustard sweater-vest; waters his fern, Frederica; and heads out to his garden. But on the one-year anniversary of Miriam's death, something changes. Sorting through Miriam's possessions, Arthur finds an exquisite gold charm bracelet he's never seen before. The irascible A. J. Fikry, owner of Island Books - the only bookstore on Alice Island - has already lost his wife. Now his most prized possession, a rare book, has been stolen from right under his nose in the most embarrassing of circumstances. The store itself, it seems, will be next to go. One night upon closing, he discovers a toddler in his children’s section with a note from her mother pinned to her Elmo doll: I want Maya to grow up in a place with books and among people who care about such kinds of things. I love her very much, but I can no longer take care of her. It's the last day of 1984, and 85-year-old Lillian Boxfish is about to take a walk. As she traverses a grittier Manhattan, a city anxious after an attack by a still-at-large subway vigilante, she encounters bartenders, bodega clerks, chauffeurs, security guards, bohemians, criminals, children, parents, and parents to be in surprising moments of generosity and grace. 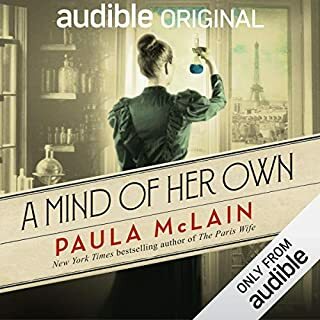 While she strolls Lillian recalls a long and eventful life that included a brief reign as the highest paid advertising woman in America - a career cut short by marriage, motherhood, divorce, and a breakdown. 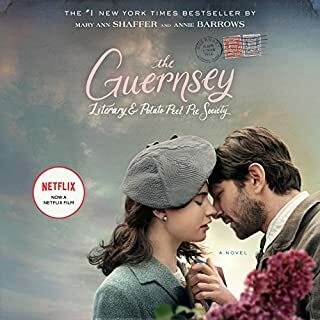 As England enters World War II's dark early days, spirited music professor Primrose Trent, recently arrived to the village of Chilbury, emboldens the women of the town to defy the Vicar's stuffy edict to shutter the church's choir in the absence of men and instead carry on singing. Resurrecting themselves as The Chilbury Ladies' Choir, the women of this small village soon use their joint song to lift up themselves and the community as the war tears through their lives. 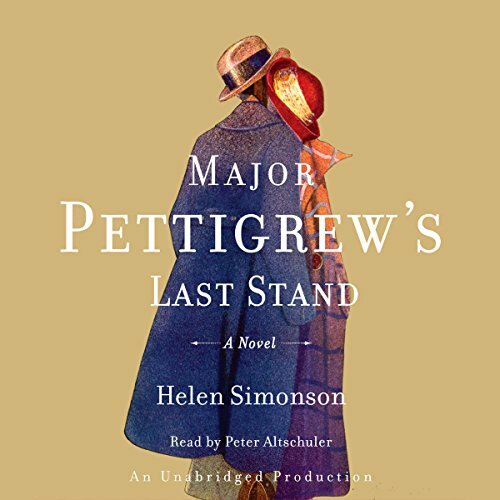 Major Pettigrew’s Last Stand, author Helen Simonson’s wry, perceptive debut novel about love, the British class system, and family obligations, genially unfolds amid a quaint, leafy English village, tweedy and provincial as any Miss Marple mystery, drafty vicarage and all. Edgecombe St. Mary is home to retired widower Major Ernest Pettigrew, a courtly, roguish martinet whose predictable daily order cracks when he loses his heart to Mrs. Ali, a genteel local Pakistani shopkeeper with “crisp enunciation”, who shares both his devotion to Kipling and the loss of a cherished spouse. As narrated by Peter Altschuler, 68-year-old Major Pettigrew is a snippy educated snob with a posh accent and sentimental streak. Altschuler inhabits the Major as a man who telegraphs disappointment in Roger, his drippy banker son, through throat-clearings and stutters. But it’s his reading of complicated Mrs. Ali that truly elevates this book. Altschuler articulates her quiet, ruminating spirit and cautious nature by slowing down his own conversational flow. There is deliberateness and intimacy to Mrs. Ali reflected in her low, melodious speech and tinkling laughter. Her insecurities and droll humor sand down the Major’s prickliness and humanize his peevishness. Mrs. Ali, it turns out, is as funny and flawed as the rest of us. Major Pettigrew's Last Stand is a finely-textured comedy of manners concerning a retired English gentleman's growing affection for a Pakistani widow amid his attempts to cope with the current generation's departure from the proper British ways he learned in childhood and the family conflicts surrounding his brother's death. Although the author provides a sensitive look at the culture clashes that inevitably result, she does so without being preachy or intolerably politically correct. The narrator's plummy accent is perfect for the upperclass Major Pettigrew, but he is also quite adept at giving each of the other characters a distinctive and believable voice. An excellent book if you like a rather slow pace and dry English wit. This book was wonderful! I enjoyed every minute and really hope that there might be another book with further adventures of Major Pettigrew in future. Terrific characters. Excellent narration. Engaging from start to finish. Not to be missed. I'm not even finished yet, but I had to pass on how enjoyable this narrator, in my opinion, is. I enjoy his tones, can hear Maj Pettigrew's sarcasm, wit, and pain in his voice. Nice. One of my favorite things about audible books is a talented speaker! I am a patient reader/listener, but have to admit I struggled to get into this book. Thank God I stuck with it! This is a lovely little love story, complete with overtones of race, class, and being good enough. It is about people trying to survive in cultures not native to them. It is about finding love late in life in surprising places. And mostly, it is about Helen Simonsen's deeply crafted characters, artfully captured by a gifted narrator. I must say that it was the narroator's spot on interpretation of the peevish, upper crust, social striving Major Pettigrew that put me off at first. But this is the mark of a fully developed character--one I am compelled to know more about, even though I don't like him much. By the way, I loved him completely by the end, even more so because his flaws were so genuine. If you liked "Natherland," "Let the Great World Spin," or "The Elegance of the Hedgehog," I believe you will find this a very excellent listen. If your TV viewing leans toward BBC and "The Tudors," you will love this book. My initial misgivings about this book had to do with wondering how I would be able to empathize with a proper elderly retired British major. There is a scene early on in this book when the Major meets his son's American fiance, and has a predictably appalled reaction. But when the author describes the woman's long, pale and (to Pettigrew) scandalously bare legs "flashing like scimitars", I laughed out loud...and I was totally hooked. After a bit more listening I had to e-mail my friend and make her promise me the book was not going to veer into dark territory because I had become completely attached to all the characters, and I really couldn't take a sudden turn into drama. 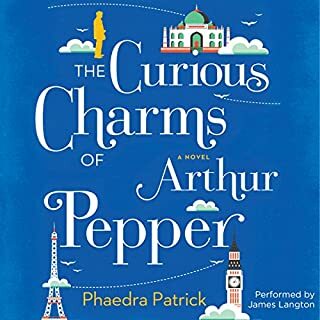 This book grew on me so quickly and so unexpectedly, I feel like Pettigrew himself as he realized he was enamored of Mrs. Ali. Just great, I loved this so much, please give it try. While the story does start off slowly it is worth staying with. I found it absolutely delightful and was sorry when it came to an end. And the reader was perfect for the story. This book is a bit lighter than my usual fare, but I was absolutely charmed by it. If I lived in Edgcumbe-St.-Mary, I think I'd be in love with the major, too. It's the gentle tale of a widowed retired major who is grieving for his recently-deceased brother when friendship blooms with Mrs. Ali, the widow of a Pakistani shopkeeper. Friendship inevitably turns into stronger affection--but what will the members of the club say (let alone the major's son, a broker schmoozing his way up the corporate ladder)? And will the major ever succeed in reuniting a pair of Churchill shooters given to his father by a maharaja and divided between his sons at his death? Much of the novel centers on conflicts between the "older generation" values of the major and the new values of "progress." Mrs. Ali, too, has conflicts with her own beliefs and the traditional Islamic values of her husband's family. But all is not so serious--particulary due to Major Pettigrew's wonderful wit (which often goes over the heads of others) and some delightfully comic scenes. 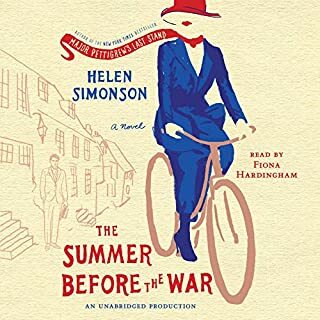 Helen Simonson's beautifully imagined characters and Peter Altschuler's amusing and poignant narration join together delightfully in this audiobook. While I'm sure that Ms. Simonson's book stands up well in print, Mr Altschuler brings great heart and, well, OOMPH, and drew me along to the exciting conclusion. 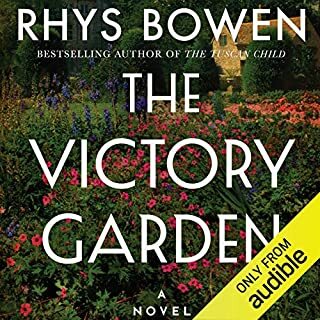 Exactly what I'm looking for in a great audiobook - very satisfying. 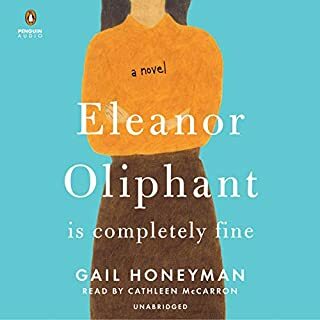 I loved this book so much that I delayed getting up in the morning, preferring to stay a little longer and listen a bit longer (I was on spring break). I grieved when it ended because I could no longer be part of such a wonderful story and engaging characters. It is rare to find a book that is so wonderful you relish every moment of it.